One of the few PTFE applications that brings in the DIY community consistantly to a plastics distributor is the application using sheet material cut into discs as mountings for telescopes. 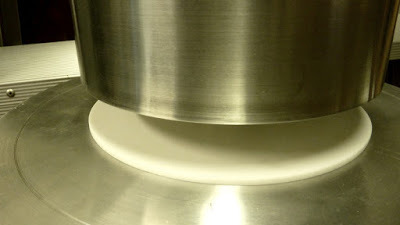 PTFE is the third slickest solid known to man and works well as a sliding surface. It does have very low load-bearing capabilities and is subject to “creep” (dimensional changes at rest) and also cannot handle much wear at all. In short, there are only specific instances the material makes sense – especially due to its high cost compared to most other plastics used in DIY applications.